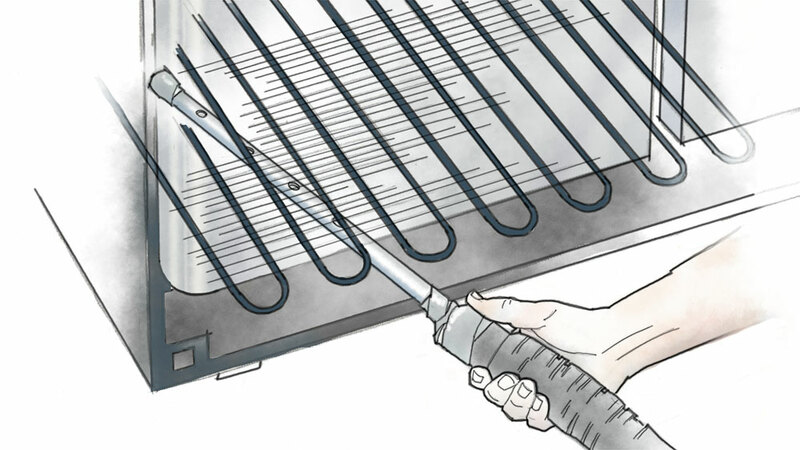 Do you know that many manufacturers recommend cleaning the coils on your refrigerator at least twice a year? It’s true — but the job is such a chore that very few of us actually do it! Dan Gleissner of Prescott, Arizona, came up with a way to make the task less burdensome. He uses duct tape to secure a length of ½" PVC pipe (which fits beneath the coils) into the end of a shop vacuum hose. Then he caps the end of the pipe and drills a few holes in it. This creates suction at each hole, making a simple cleaning “wand” that gets those coils dust-free in no time. Duct tape and PVC pipe (with a series of 3/8" holes drilled down one side) transform your shop vacuum into a refrigerator coil cleaning tool.